For the park in Chile, see Corcovado National Park (Chile). Corcovado National Park (Spanish: Parque Nacional Corcovado) is a National Park on the Osa Peninsula in Osa Canton, southwestern Costa Rica (9° North, 83° West), which is part of the Osa Conservation Area. It was established on 24 October 1975, and encompasses an area of 424 square kilometres (164 sq mi). It is the largest park in Costa Rica and protects about a third of the Osa Peninsula. It is widely considered the crown jewel in the extensive system of national parks and biological reserves spread across the country. The ecological variety is quite stunning. National Geographic has called it "the most biologically intense place on Earth in terms of biodiversity". Not only is the park very popular with tropical ecologists, a visitor can expect to see an abundance of wildlife. One should come well prepared though (see below). The park conserves the largest primary forest on the American Pacific coastline and one of the few remaining sizable areas of lowland tropical forests in the world. Historically, logging has taken place in lowland areas because those areas are more easily accessible and contain the largest and most economically valuable trees. But those habitats, which feature diverse vegetation, are also usually the richest in biodiversity. So even though approximately half the tropical forests on Earth remain, what is left of the originally rich lowland forests is usually in too small an area to support the original natural biodiversity. Larger animals, especially, need a large habitat free of human activity. Unfortunately this means that even tourism, the economic incentive for Costa Rica and other developing nations to preserve and protect parks such as Corcovado, actually threatens the long-term biodiversity of the park. Corcovado National Park is open to the public and can be visited on day trips and for overnight visits, as of February 1, 2014 all Corcovado visitors must be accompanied by certified professional guides. As of August 2014, admission is $15 per person per day for non-Costa Rican residents. Reservations for overnight visits in the park can be made in Puerto Jiménez on the east coast of the peninsula. One may camp (for a maximum of four days) or stay indoors at one of several ranger stations equipped with bunks. If one wants basic meals served, reservations should be made about a week in advance. Take note that researchers get preference over other visitors (though there is usually enough room for self-catering campers). One can make day visits into the park from several lodging options on both the north and south entrances to the park, as well as through organized excursions that fly into the park. One can get to the Corcovado National Park via Puerto Jimenez or Drake Bay. These two towns serve as the main entry points to the park. There are two tracks, one coastal and one inland, and four ranger stations in the park where one can stay overnight; three at the park entrances and one at the intersection of the two tracks. One track runs Northwest to Southeast along the coast to La Leona ecolodge, with the Estación Sirena roughly in the middle. The second track runs inland from Estacion Sirena to Estación Los Patos at the Eastern end of the park. One can fly into the park (via chartered aircraft) to Estación Sirena, from where one can follow relatively short loop-trails. Carate (near Estacion La Leona), also has an airstrip and road access from Puerto Jimenez. To walk through the park one needs a reasonable fitness, at least two or three days(except on El Tigre trail which is a one-day hike), good planning and caution. During the wet months (July to November) parts of the park may be closed. On February 5, 2015 a new trail into Corcovado was opened in Dos Brazos de Rio Tigre. Sendero El Tigre is the most accessible trail into Corcovado as it is possible to travel to and walk in one day. The trail is 5 miles/8 kilometers long and takes between six and eight hours; depending upon walking speeds and time taken to stop to view wildlife. On the coastal track there are several rivers that need to be forded. These rivers can all be very dangerous if forded at high tide or if one is inexperienced in this kind of an environment. Rio Sirena is commonly regarded as the most dangerous of crossings, primarily because it flows directly into the massive Laguna Corcovado in the isolated heart of the park. Bull sharks are present within the river and can sometimes be seen at the river mouth during high tide. American crocodiles are also present within the river, but most are small and recent surveys indicate that the population may be much smaller than initially believed. Spectacled caiman are present further up river and within Laguna Corcovado in larger numbers. Rumors that large American crocodiles are present within Laguna Corcovado are false. The Rio Claro, which is approximately 40 minutes south of Rio Sirena, is said to be safer, although both appear to the naked eye as very similar in size. Small American crocodiles and spectacled caiman are also present within the Rio Claro, albeit in smaller numbers than Rio Sirena. Bull sharks are not believed to be present within the Rio Claro. Despite the presence of these predators, by far the greatest risk you will face while crossing any river is the strong current. Upstream Rio Claro is a popular night swimming spot amongst guides and their groups, therefore it is doubtful that attacks by crocodiles or sharks in this river are a concern. The Rio Madrigal, just north of the park entrance, is much smaller and may be home to spectacled caiman. The elusive Jaguar is a large, beautiful and potentially intimidating feline but is generally regarded as shy and harmless. They are capable of taking down prey as large as Tapir but appear to be reclusive and uninterested in human activity. The abundance in wildlife can in part be explained by the variety of vegetation types, at least 13, including montane forest (more than half the park), cloud forest, jolillo forest (palm swamp), prairie forest, alluvial plains forest, swamp forest, freshwater herbaceous swamp and mangrove, together holding over 500 tree species, including purple heart, poponjoche, nargusta, banak, cow tree, espave and crabwood. 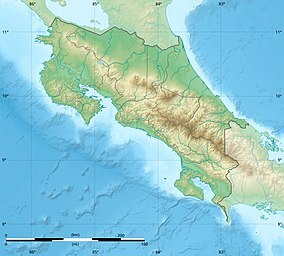 Another reason for the diversity (as with all of Costa Rica) is that it lies on a north-south corridor for flora and fauna; part of the "land bridge" and wildlife corridor that links the large continents of North America and South America. Corcovado has been merchandised worldwide as one of the places with greatest biodiversity on the planet. In 41800 hectares, Corcovado houses 3% of the world´s biodiversity. Defined by National Geographic Society as the most biologically intense place in the world, two decades ago. Because of the remoteness of the peninsula, logging started only in the 1960s. By 1975 there were plans for a major international logging operation. Researchers petitioned President Daniel Oduber to protect the area, which he did by making it a National Park. For this he received the Albert Schweitzer Award from the Animal Welfare Institute. The already present goldminers were allowed to stay. By 1986 their number had increased to about 1,000 (not counting their families), who also hunted the wildlife. It was decided to evict them. There is, however, still some illegal mining going on (using more destructive modern mining methods), considered the second invasion, there are about 400 miners currently. It is estimated that 38% of the park (16.000 hectares) have been exploited by gold miners. Illegal logging is not frequent, but the trees that are removed are scarce and essential to the ecosystem. Increased tourism has led to an increased presence of humans in the park, which may threaten the long-term survival of the park's larger mammals. To help combat the threat of over-exposure, many agencies and other groups (including Conservation International, The Nature Conservancy, WWF–U.S., rain-forest conservation groups in several countries, Catholic Relief Service, Organization of American States, and the Costa Rican, Danish, Dutch, Swedish and United States governments) have come together to provide aid to the conservation cause. Corcovado National Park coast between Sirena and La Leona ranger stations. ^ a b "Especial Areas Silvestres Protegidas: tierra de todos y de nadie. El caso de Corcovado". Wikivoyage has a travel guide for Corcovado. This page was last edited on 26 May 2018, at 14:24 (UTC).